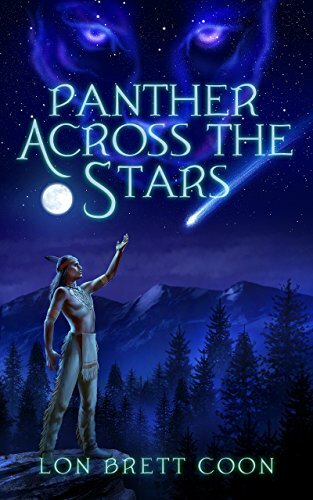 Panther Across the Stars is a stirring historical novel depicting the detailed life of a Shawnee Indian warrior who is fighting for his people’s freedom. What was the inspiration for this fantastic novel? Bear with me, as the answer to this question has several layers. I know there are some among us who find history to be dry, boring, and just written text in schoolbooks; but to me it has always been so much more. History is fascinating when you understand it is made up of living and breathing people who are just as flawed as we are. And for but one step this way or that, all the many things that come after can be altered for good or ill for all of time. I think there is also a smugness in that us here today kind of take things for granted that the world is as it is, as if it was somehow preordained or something. But I think the truth is that the past history, and the one unfolding before our eyes, is fragile in that one act, this way or that, and it can all be rewritten. And as you walk through the pages of history there are those that rise up from time to time to do extraordinary things. Tecumseh is one of those few. Though I think many of the living do not know his name or who he really was – they should take the time to find out, for he was truly remarkable for the way he carried himself, how he inspired others, and what he tried to accomplish and came oh so close to doing. He was an exceptional human being and certainly one of the very best among us, and that was according to the people who were trying to kill him . . . think about that for a moment. You will find no better patriot for freedom in history’s pages, regardless of the race, creed, country, or age of mankind. Even now, some two hundred years since his passing from the world, his words and deeds are an inspiration to find the highest form of ourselves. Every day that we arise with breath, we should seek the strength to do what is right, even if it is not the easy path to follow. If we could all endeavor to such a thing, the world would truly be a better place. And also, the core theme of the book is that there is nothing more precious to a living thing than freedom. The book is trying to explore the notion that freedom is more than just the physical and on the outside of the world, but that there is just as great a struggle for freedom on the inside, within the mind. In fact, the story proposes that being free within from all your masters (i.e. anger, fear, doubt, and hate, etc.) may just be the most important of all. It is my humble opinion that as Tecumseh fought for his freedom on the battlefield against musket and bayonet, he also waged this fight within against his fear, doubt, anger, and hatred; for who among us would not be filled with those masters when faced with such pain, hurt, and loss, and the tremendous burden of trying to find a way out for his people. And lastly, as I read about Tecumseh’s life story there was a mention of a strange red comet in the sky of March 1811, as Tecumseh was trying to gather the many tribes together into one pan-Indian confederation to fight back against America’s invasion. And the thought occurred to me that what if that streaking comet had been a crash landing of a few survivors of some alien race, which fate had steered to his world to help his people find their freedom. What if. . . .
Panther Across the Stars is an intelligent and spiritual person. Was there a historical person that you modeled his character after? None other than Tecumseh himself. I first learned of him several years back and he was simply a remarkable human being who faced an impossible situation. I tried to write the novel to make the reader feel like you were with Tecumseh two hundred years ago . . . and what would you do when faced with such trials, tribulations, and impossibilities. I enjoyed all the history woven into this story. What kind of research did you undertake to ensure the books accuracy? The book is loosely based on the accountings here and there of things that are said to have occurred in Tecumseh’s life. I read several books, watched documentaries, and spent many long hours of internet research to gather up as much background information as I could. This helped to provide the bones to the story, before the layering of the fictional elements. And of course, all good tales deserve some embellishment. Well, the intention has been all along to write a sequel to Panther Across the Stars, regarding what happens in the here and now; to see what happens when fate calls again and through their undying spirit of freedom, the scattered Shawnee descendants find the lost Ithreal stone at last some two hundred years later. And what happens when the Jhagir find their way back to this world. In fact, they may already have arrived as we conduct this interview. As far as the planned timetable, presently there is not one. 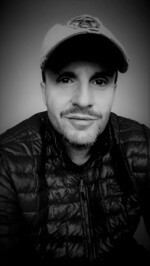 Being a first-time self-published author, and all that is entailed to try and create a high quality novel, in addition to my day job, time is at a premium and I am still in the early stages of writing the first draft. A larger-than-life tale of one man’s courage, sacrifice, and unyielding defiance to fight for his peoples’ freedom against those that would take it, and in this great struggle he finds friendship with three alien beings fallen to Earth that stand with him. He is Panther Across the Sky and his world is fading. He takes all the hurt and pain a lifetime gives him and stares into his soul to face the greatest master he will ever know. Just a man among a dying people, he inspires his kin beyond all limit of mind and body in their outstretched and desperate grasp for freedom against overwhelming odds and the mighty nation arisen to the east in the early 1800s – America. And along the way, he forges a bond with three alien beings fallen to Earth from a distant star, the Jhagir. Together they must find the courage to rise up against the swirling dark sea of blue jackets, muskets, and cannon fire that comes for them. It will take all their strength and spirit, and cost them more than they know, to break back the angry waves of a young nation that would devour a people and wash them away forever. And just maybe, Panther Across the Sky and the Jhagir can give rise to a peoples’ real hope for today . . . and what is to come. 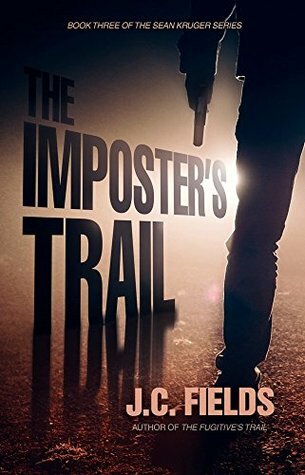 In The Impostor’s Trail, we find Sean Kruger living out his golden years when a culprit Kruger feels responsible for losing six years ago pops up on the radar. What were the driving ideas behind Sean Kruger’s development throughout the story? The concept of the novel originated with a short story written in 2013 titled, The Forgotten Brother Affair. The short story was featured on my website for about a year. After I completed the second book in the series, I was looking for ideas for the next one. Keeping in mind Kruger retires at the end of The Assassin’s Trail, there had to be a compelling reason for him to get back in the game. The return of the only serial killer to elude him during his FBI career seemed appropriately compelling. In this installment, we find Kruger torn between righting a mistake he made six years prior and keeping his family safe. Facing pressure from his wife to stay retired and fighting his own internal need to bring the killer to justice, Kruger embarks on a journey of self-discovery. This journey finds our hero dealing with the conflict of seeking revenge and righteousness. I won’t reveal any more of the plot, but his journey gets intense. You do a great job with descriptions as usual. It’s easy for the reader to picture either characters or settings in their mind. What is your writing process like? Thank you for the compliment. I read a lot, making note of how other authors describe their settings and characters. During the journey to improve my writing techniques, more than one book on the craft of writing was consumed. Without exception, they emphasize a good writer must read. Read as many books in the genre you write as possible. I continue to do this, and try to learn from the best. The majority of the settings used in my novels are places I have lived near or visited during a period of time when I traveled extensively. For instance, JR’s building in the downtown area is a real place. While in college, I thought it would be a great place to live. Alas, I could not afford the rent as a student. As a writer, the process of describing locations is how I see them in my mind’s eye based on personal experience. If I need to utilize a place I have never been, Google Earth is a great tool. Describing characters is different, in my opinion. How a reader envisions a character is influenced by two factors. How the character acts and hints the author offers in the novel. I am not sure anyone has noticed, but I have never given a clear description of what JR Diminski looks like. This was done on purpose. He is a computer geek. But he is also self-assured and able to handle himself in dangerous situations. Let the reader fill in the blanks. I enjoy the large cast in this story. If Hollywood came knocking who would you cast as the leads? An interesting question. I really have not given it much thought. However, there is one character in the story who is already cast. Joseph’s character is described as bearing a remarkable resemblance to the actor Morgan Freeman. He is one of my favorite actors with a remarkable body of work depicting a wide range of different characters. The rest of the cast I’m not sure about. Kruger would need to be a tall individual with an air of quiet self-confidence, Liam Neeson, Hugh Jackman, or even Christian Bale come to mind. Kruger’s wife, Stephanie is a woman who survived and prospered in the cut-throat world of big corporations. She would need to be an actress who projects a strong will and intelligence. Someone like Natalie Portman or Jennifer Connolly perhaps. JR Diminski is a tough call, maybe Titus Welliver or maybe Daniel Day-Lewis. If the opportunity ever materialized, I am sure I would have little say in the matter. How long do you see the Sean Kruger series going for? When will the next book be available? Right now, with The Impostor’s Trail finished, I am working on a stand-alone JR Diminski manuscript. My oldest son suggested doing one and several friends agreed. However, the next Sean Kruger book already has a concept written, which is my version of an outline. The working title is The Cold Trail. Of course, this is subject to change. But with luck, and a lot of early mornings, I hope to have it out late 2018. As far as how far will I take the series? Good question. My best answer is when the ideas for a good story stop, the series will stop. As an Indie Author, I don’t have a staff of assistants sitting around thinking up plot ideas, it just me, myself and I. Plus I am not subject to the demands a traditional publisher puts on popular authors. I don’t want to be, what I call, a book factory. Traditional publishers make their money by publishing books. There are a number of very popular authors and some Indie Authors who publish two and in some cases three or more books a year. How is it possible? If you write full-time, maybe. But I am not sure the plots are well thought out. So for now, I will continue to take my time with each book and strive to produce quality, well-edited manuscripts, possessing realistic character driven story lines. FBI PROFILER SEAN KRUGER IS BACK AND ON THE TRAIL OF A VICIOUS SERIAL KILLER! Over the Indian Ocean a Malaysia Airline jumbo jet drops from radar. Three hundred twenty-seven souls disappear with it; a woman in Rockford, Illinois is brutally murdered. Unrelated news events? Retired FBI agent Sean Kruger doesn’t think so. He suspects it’s the work of serial killer Randolph Bishop. Now a college professor, Kruger has tried to live with the mistake he made while investigating Bishop six years earlier. It looks as though the only man to elude him, in his twenty-five year tenure with the FBI, has returned to seek vengeance on those who forced the man to flee the country. With his family in danger, Kruger comes out of retirement to find Bishop’s trail. A trail that leads Sean to question his own humanity. Randolph Bishop joins the ranks of fictional serial killers such as Hannibal Lecter, Patrick Bateman and Anton Chigurh in this tale of revenge and justice. The Impostor’s Trail will keep you turning pages late into the night.